Once Curl has been installed, we can visit the Caddy Website. Choosing our operating system here doesn't matter as we're going to be installing using Curl, but if you're installing on an operating system that doesn't have Curl installed, go ahead and set which operating system you have. Now go ahead and select the plugin we wish to download, in this case the http.filemanager plugin, and finally the license, in this can the personal, non-commercial license. This will go ahead and install Caddy and the File Browser plugin for you, so just sit back and wait. If you're using another operating system, you'll have to press the download button and unzip the .zip file you'll recieve to a folder of your liking, and cd to that folder. With the driver installed, we need to find the UUIDs for each of the two USB drives we're going to be using for storage. For this I've formatted both drives as NTFS on my Windows PC and labeled them; one as STORAGE, one as BACKUP, and put a mount.txt file on each of them. This will return a list of devices, you should see your STORAGE and BACKUP drives, as well as their UUIDs, go ahead and make a note of them both now. Go ahead and reboot your device. Now if you cd into either the STORAGE or BACKUP folders, you should see a mount.txt file in each, showing they've been mounted successfully. 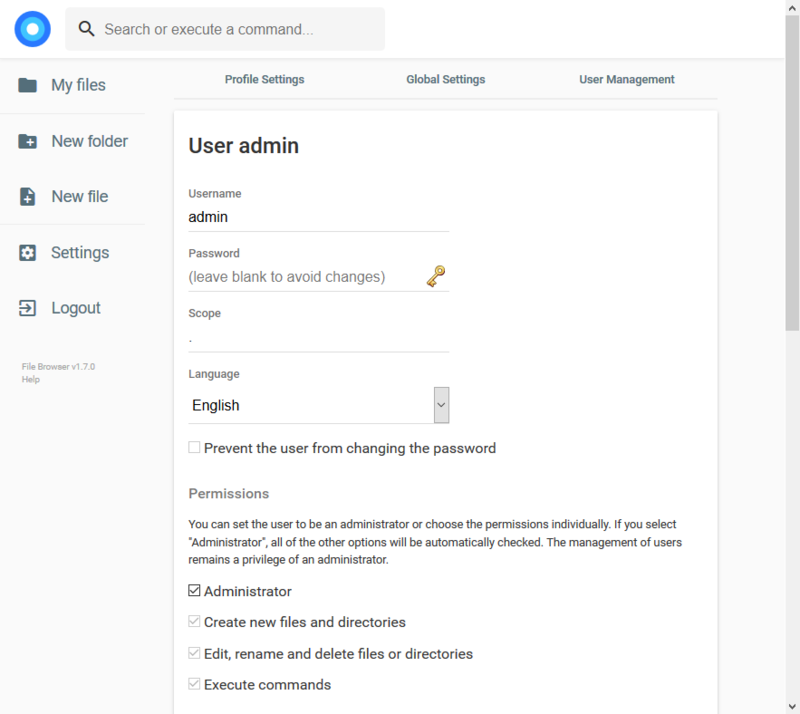 Setting it this way allows each user to have their own folder without seeing anyone elses folder, or the content of other users folders. Do this for each user. With your scope path set, returning to the root folder will now show an empty folder ready for use, so feel free to throw in a few files to test it out. With this configuration, crontab will attempt to run the command every week on Friday at 23:00. If you'd like a different configuration, check out the crontab.guru website. 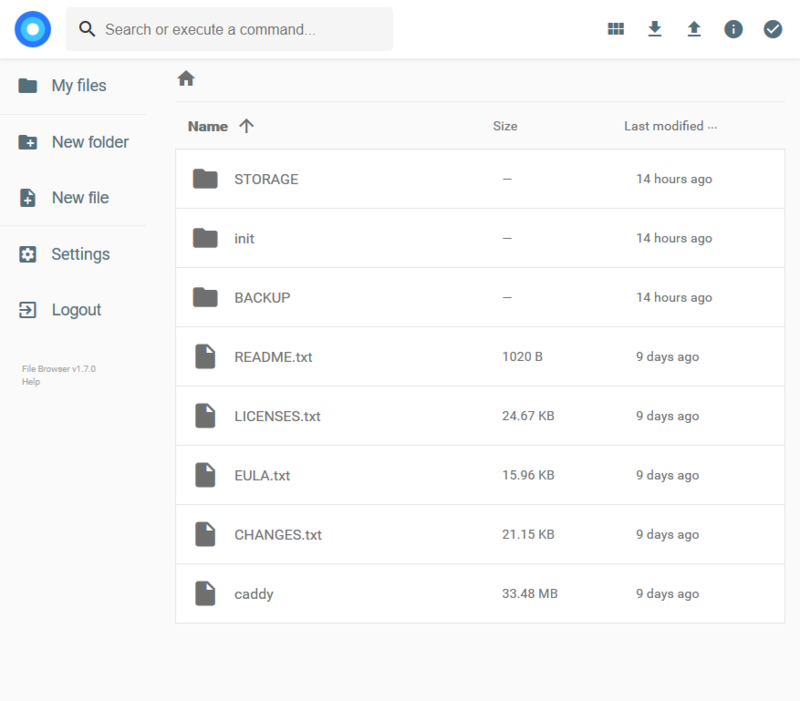 And that pretty much wraps up how to set up Caddy alongside the File Browser plugin for a simple home cloud backup solution. If you'd like a dark theme for the File Browser plugin, go ahead and check out this Github page and copy and paste the theme code into the global settings Custom Stylesheet theme box.